If you’re an avid traveler and can never get enough of exploring this wonderful world, you’re in luck! Your hobby is actually keeping you healthy and happy in many ways. Here’s how traveling boosts your health and wellbeing. Sure, there’s no way to avoid sitting while you travel (in your car, plane or train) but it also gives you plenty of opportunities to be active. If you’re anything like your average traveler, you want to see all there is to see and try as many new things as possible. This means you’re more likely to try a new sport, roam the streets of a new city and hike up that hill to catch the best views. Even if all you’re interested in is the beach, you’re going to swim, dive and maybe even play some beach volleyball. Plus, walking on sand is twice as hard as walking on concrete! These are all burned calories that will not go into your thighs. All that moving will not only keep you fit but also improve your cardiovascular health. Physical activity lowers blood pressure, the risk of heart disease and stroke. So, next time you have to run through the airport in Paris or climb that mountain in Greece, remember that you’re doing it for your heart! When you travel, there’s just no way you can avoid coming in contact with dirt and bacteria. However, antibodies, the little friendly proteins that keep you safe from getting sick, love some dirt exposure! It makes them stronger and more efficient. But, even though traveling keeps your immune system up and running, that doesn’t mean you can totally neglect basic hygiene when on the road. Wash your hands, use hand sanitizer every now and then and shower when you can. With that in mind, having some new bacteria in your body isn’t such a bad thing! Traveling to different places allows your body to adapt to new pathogens and develop a stronger immunity to those bacteria. Any type of traveling greatly helps with stress. Sure, this might not be a surprising health effect of traveling, but that doesn’t mean it’s not worth mentioning. Going away for some time and exploring the world can make you Zen out and relax just like prescription medication. For instance, only three days into their vacation or travel adventure, people report feeling rested, less anxious and less moody. Plus, when they come back home, the improvements seem to follow. Weeks afterwards people still feel the stress-relieving effects of traveling! So, if you need a break, make sure to book a ticket or grab your car and go on an adventure. Don’t have a vehicle for a road trip? Don’t worry, because there are so many agencies like reliable Avis Car Rental that can hook you up with some wheels. They have everything from lux cars to heavy-duty utes and vans, plus there are special offers that will even allow you to save a few dollars. All you get to do is fill up the tank, find a road you like and drive on until that stress disappears! Aside from keeping you stress-free and physically healthy, traveling can also boost your brain’s activity. When you experience new things, environments and people (which is the central part of travel), your brain meets new challenges and builds resilience to degenerative diseases. Exposure to new things improves not only your memory and focus but also does wonders for people with dementia and Alzheimer’s. Additionally, when you’re on the road, you not only experience novel stimuli, you interact with them, which can contribute to preventing and managing many degenerative brain diseases. Traveling might be physically demanding, but it’s essentially a leisure activity. So, like any fun pastime, traveling can reduce the levels of depression and boost psychological functions. Even while you’re planning your itinerary and researching destinations, you can experience an instant surge of happiness. 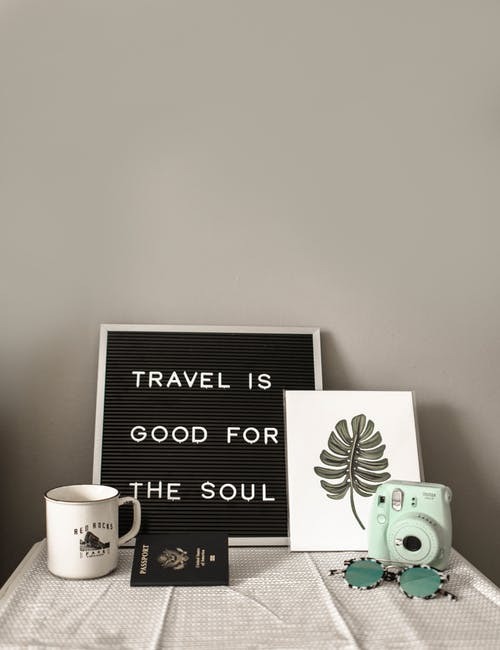 Additionally, traveling gives you something to look forward to, no matter if you’re planning a long road trip or a mini-vacation, and the wait will feel rewarding. People who travel a lot also feel more satisfied after returning home and experience less stress which both affect depression and other mental issues. People are social animals, so building strong connections with other people affects our wellbeing on many levels. Luckily, travel offers many opportunities to meet new people, no matter if they are your fellow travelers or friendly locals. There are many situations when you’ll have to rely on others for help and guidance, which allows for a better sense of connectedness. So, if you’re a seasoned traveler, make sure not to give up on your great hobby. But, if you’re still to discover the benefits of traveling, these health reasons will certainly push you off of your couch and into a car, plane or train!